A conservative strategy of estimating toxicity at low doses is to determine the risk at high doses and connect the high-level risk to the zero intercept (Hengstler et al. 2003). However, in some cases this type of extrapolation may result in unreasonable conclusions. To illustrate the inappropriateness of the linear dose–response extrapolation, a ban of high-heeled shoes has been used as a humorous analogy for the following reason (Goldman 1996): Assume that every human being on earth adds a 3-cm lift to his shoes. It is well known that cosmic ray dose doubles for every 2,000 m in altitude, but the resulting increase in cosmic ray dose by high-heeled shoes is extremely small. However, multiplied by the population of earth, this would result in a dose that causes cancer in approximately 30,000 individuals in 50 years (from Hengstler et al. 2003). Mathematically this example is accurate, but thus far no one has seriously considered banning high-heeled shoes. In recent years strong evidence has been presented that toxicology should differentiate between two types of genotoxic carcinogens, those acting by a practical threshold and those acting by a non-threshold mechanism or by a mechanism for which a threshold has not yet been defined (Bolt and Huici-Montagud 2008). On the other hand, it is dangerous to generalize that safe levels of exposure exist. In this context, the example of aflatoxin B1 is often mentioned because there is still no convincing evidence suggesting that safe doses of aflatoxin B1 exist. Of course, it is well established that a single molecule of a genotoxic carcinogen is not sufficient to transform a healthy cell into a cancer cell, because more than one mutation is needed. For instance, at least two oncogenes must be activated and one tumor suppressor inactivated to facilitate the transformation of normal mouse ovarian surface epithelial cells to ovarian carcinomas (Orsulic et al. 2002). However, as long as thresholds have not been clearly demonstrated, which still is the case for the majority of genotoxic carcinogens, a linear low dose–response extrapolation seems to be conservative but adequate for regulatory purposes. Getting the dose response wrong: why hormesis became marginalized by the threshold model. In his first contribution, Ed Calabrese reviews the scientific and historical foundations of how linearity at low doses became the basis for carcinogenic risk assessment. 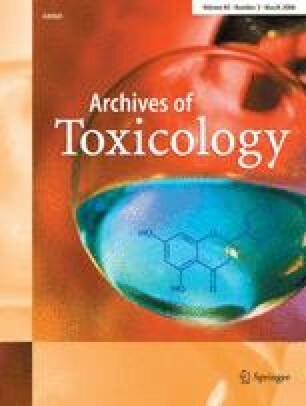 In his second review, he addresses one of the most controversial topics in toxicology, namely the hormetic response, a J-shaped dose response which results from the ability of some compounds to stimulate certain mechanisms at low doses and inhibit the same mechanisms at higher concentrations.